While some online challenges contribute to a good cause (like the Ice Bucket Challenge), other social media dares serve no real purpose. And some of them, like the duct tape challenge, could be quite dangerous. Despite the risks, social media fuels the challenge. Teens dare one another to try it and many of them share their videos in an attempt to gain a piece of viral fame. And while some parents may think the duct tape challenge is harmless fun, some teens are getting hurt. And it’s important for parents to understand the risks involved so that they can talk to their teens about the dangers. What Is the Duct Tape Challenge? The duct tape challenge involves teens wrapping someone up in duct tape. They might bind their hands and their feet. Or, they may tape a teen to a chair—or even the wall. Then, the individual wrapped in tape tries to escape. Some teens spend hours trying to wiggle their way out, while others use dangerous stunts to gain freedom. Teens record themselves trying to "escape the tape" and post the video online. Videos are often shared on social media sites like Facebook and YouTube. As the challenge continues to grow, teens continue to try and outdo one another. Consequently, the challenges have grown increasingly risky over time. In 2016, 14-year-old Skylar Fish participated in the duct tape challenge. He fell while trying to break free. He hit his head on a window frame and smashed into some concrete. He crushed his left eye socket and experienced head trauma. He underwent several surgeries over the next year and doctors have warned the family he may never regain sight in his left eye. Skylar’s family decided to share his story to serve as a warning about the dangers of the duct tape challenge. But, not everyone is listening. In fact, many teens are now posting their mishaps with the challenge online. If you search for “duct tape challenge gone wrong” you’ll find almost a million videos on YouTube that show teens vomiting, crying, and falling down throughout the challenge. Clearly, the duct tape challenge isn’t the only dangerous activity teens are encouraging one another to do. There are also challenges like the Cinnamon Challenge, the Salt and Ice Challenge, and the Condom Challenge—which can all be harmful. As these trends begin to fade, there’s no doubt that new challenges will surface. And there’s a good chance your teen will hear about them before you do. You can’t monitor your teen’s activities all the time. But, you can give him the skills and tools he needs to make healthy choices. Ask your teen why he thinks people participate in these types of challenges. Your teen may be able to give you some insight into why teens take part. Whether he says teens are bored or they are striving to become YouTube stars, listen to his ideas. What do you think about kids who do those things? Ask for his opinion before you share your thoughts. See if he thinks the teens who participate are funny, bored, or making poor choices. Discuss how to recognize the dangers. Acknowledge that some challenges may simply be fun, but that others could be really harmful. Ask how he would recognize if a challenge were potentially dangerous. Talk about how to think about potential consequences before participating. Talk about strategies to resist peer pressure. Even if your teen knows something is a bad idea, he might be tempted to go along with the crowd anyway. Identify strategies for resisting peer pressure, even if his friends tease him or insist he take part. The teen brain isn’t yet fully developed. Consequently, teens view risk differently than adults do. So while your teen may be a straight A student, he might make some pretty unwise decisions at times. If your teen participates in ridiculous pranks or he gets caught up in dangerous dares, don’t ignore the problem. Have a serious talk about the potential perils he may be placing himself in. Discuss the reasons he takes part as well. Does he need something to do—like a job—to keep him busy? Is he trying to impress his friends? Consider whether your teen might need help sharpening some of his skills. Perhaps he needs help knowing how to say no. Or maybe he needs to find positive activities that boost his self-worth so he doesn’t feel as though he needs to impress other people. Make your expectations clear. 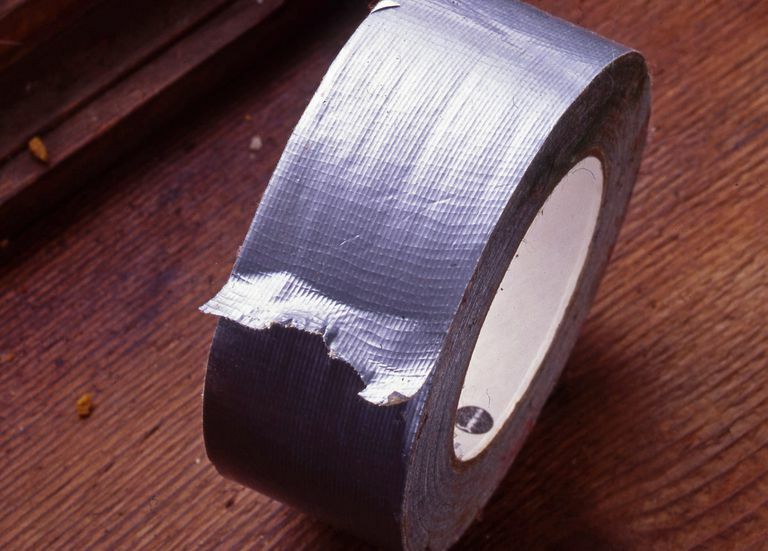 Say, “I expect that you won’t engage in risky behavior just because your friends are doing it.” Simply saying those kinds of words can make your teen think twice about taking part in risky behavior like the duct tape challenge. If your teen seems to be a natural risk-taker, help him find healthy outlets. Encourage him to volunteer for a good cause or challenge him to raise money for a charity—as long as he does it in a safe way. If your teen can’t seem to resist a dare, or he loves taking everything to the next level, restrict his privileges. After all, if he’s going to drive a car, you need to know he can say no when a friend challenges him to drive 100 miles per hour.